In photo above, left to right: Kerri Becker, Pat Malone and Rivers Humber. 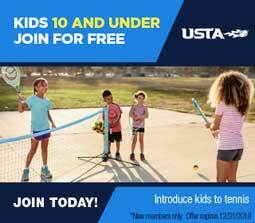 With the goal of expanding tennis in three local cities or areas, USTA Southern has contracted with three grassroots pacesetters. The position is named “local leader liaison” (LLL). Starting work this month are New Orleans’ Kerri Becker; Rivers Humber, of Clarksdale, Miss., and Pat Malone, of Jonesboro, Ark. Becker’s goal will be to work with USTA Southern, USTA Louisiana and the New Orleans Metropolitan Area Tennis Association (NOMATA) to expand tennis in metro New Orleans. A competitive tennis player for 15 years, she is currently employed as an event supervisor. Named as the 2016 Charles Turner Volunteer of the Year by USTA Louisiana, Becker is currently serving as a NOMATA board member. She has served as president and board member on a local country club for over a decade. Becker has been playing competitive tennis for nearly 15 years in the New Orleans metro area with many trips to USTA League state and sectional championships, as well as two trips to compete in the USTA League championships. Additionally, she has organized local junior tennis teams at the elementary level and expanded into captaining a USTA Junior Team Tennis team which were state champions and went to sectional championships several times. She has served as site director and/or chairman for several state, sectionals and other local tennis tournaments and has been extremely active in local fundraising events for tennis and other interests. Humber’s goal will be to work with USTA Southern, USTA Mississippi and local tennis clubs and facilities to expand tennis in and around her hometown of Clarksdale. Her region includes Coahoma, Bolivar, Desoto, Panola, Quitman, Tallahatchie, Tate and Tunica counties. Humber is the North Central Director for the USTA Mississippi Board of Directors. She also serves on the executive committee and as past president of the Clarksdale Country Club Tennis Association. She has been an avid tennis player since childhood and played on her high school tennis team. She is an attorney and works at Clarksdale Vision Center with her husband, Jimmy. Malone’s goal will be to work with USTA Southern, USTA Arkansas, the NEA Tennis Association and clubs and facilities to grow tennis. Malone’s region includes 14 counties centered around Jonesboro. For more than 30 years Malone has coached and organized tennis at private clubs and public facilities. He is a U.S. Professional Tennis Association certified professional and works with several parks and recreation departments including Jonesboro, Batesville and Paragould to deliver certified public tennis programming. He played the top line for Lyon College in 1985 and 1987, and also served as head men’s and women’s coach for the college in 2007. USTA Southern, which covers nine Southern states and represents nearly 25 percent of the national members, has tasked the LLLs with serving as a conduit between the various USTA organizations and acting as the liaison between local tennis organizations to increase tennis participation. Another responsibility is to advocate for construction or repair of municipal tennis courts and to reach out to residents or groups with little or no experience in the sport.